From the 2014 Celebrating Excellence | Why do some third-world countries have lower infant mortality rates than developed countries? What can Cubans tell us about Ernest Hemingway? What are some similarities and differences between the emergence of urban agriculture in the U.S. South and Cuba? How do rivers transport bacteria? These are just some of the questions University of Alabama researchers have tackled – and are tackling – alongside Cuban researchers as the Alabama-Cuba Initiative enters its second decade. The College’s latest research trip to Cuba occurred in January and involved some 32 University of Alabama researchers from disciplines as far-reaching as biology, law and music therapy. Led by the College of Arts and Sciences, the Alabama-Cuba Initiative has provided opportunities for approximately 85 faculty members to travel to Cuba to build research partnerships, and nearly 75 UA graduate and undergraduate students have studied there. Since receiving its very first academic travel license from the U.S. Department of the Treasury in 2002, some 80 scholarly activities including articles, artworks, performances, exhibitions and books have been produced by UA faculty involved in the program. Some researchers, like Seth Panitch, associate professor in the Department of Theatre and Dance, have traveled to Cuba about a dozen times. Panitch has been involved with the initiative since 2006, and through his work there, he became the first American director to helm a theater production in Havana through Cuba’s Ministry of Culture since the Cuba Revolution in 1957. 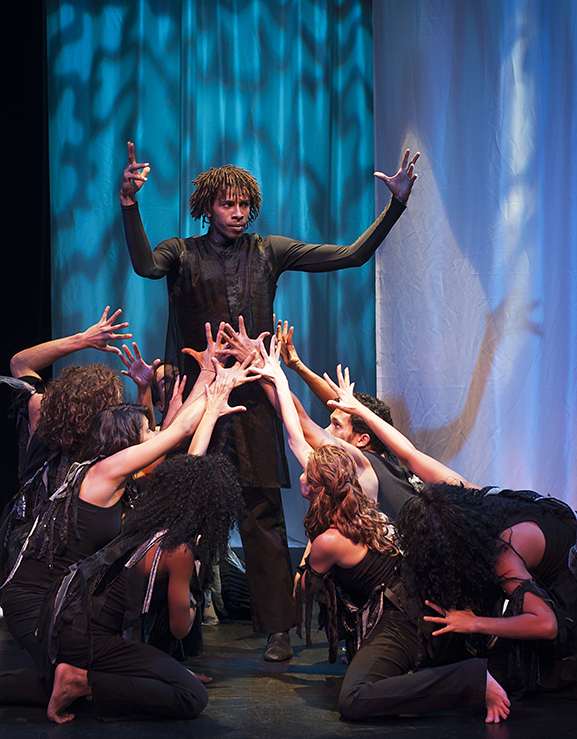 The play, “Alcestis Ascending,” was performed in both English and Spanish, with Cuban performers speaking in their native tongue answered by American performers in English. Panitch said this duality of language was especially appropriate because the play explored dualities of identity. Medicine is a new area of research to join the initiative. Dr. Yasmin Neggers, a professor in the College of Human Environmental Sciences, traveled to Cuba in January as part of the initiative’s first “medical team” involving faculty from the disciplines of nutrition, family medicine, preventative medicine, public health, statistics and music therapy. Neggers is working with Cuban researchers to evaluate and compare the prevalence of obesity in preteens living in Havana and Tuscaloosa. Prior to the January visit, Neggers’ research involved investigating risk factors associated with prevalence of low birth weight, or LBW. Low birth weight – infants weighing less than five and a half pounds at birth – is a significant factor affecting neonatal mortality and is a predictor of the overall health of newborns. Neggers and her colleague Dr. Kristi Crowe, an assistant professor of nutrition at UA, found that comprehensive prenatal care can decrease the rate of low birth weights that might otherwise be higher in developing countries like Cuba. So, Neggers looked at another risk factor: Prenatal care. She determined the care women receive before and during pregnancy can decrease occurrences of low birth weight. “Prenatal care in Cuba is so much better than typical prenatal care in the United States, especially compared to prenatal care in Alabama,” she said. Pregnant women in Cuba are provided free and frequent prenatal visits to their doctors, get adequate and regular screenings and health checks, including vitamin and mineral supplements, and get the proper remedies if something is amiss. The next UA-led Alabama-Cuba Initiative trip is tentatively scheduled for fall 2014. For more information, visit www.cuba.ua.edu.